Looking to help BAIL out one of our MOST WANTED? 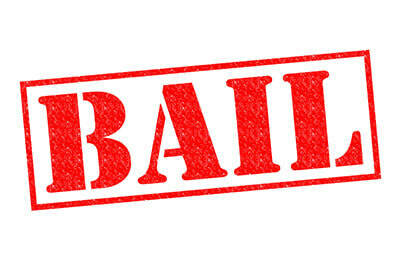 Click on the button below and help them raise their BAIL. Be sure to include the FULL NAME of the recipient of your donation. One of the many missions of the City of DeFuniak Springs and local law enforcement agencies is to partner with those in our community whose efforts make DeFuniak Springs and Walton County a safer, stronger, and healthier community. The Matrix Community Outreach Center has been providing the community with a number of services that implements a “Hand Up not a Hand Out” mentality since 2011. The Matrix continues to strive to expand its programs and offerings to this community to help those less fortunate and in crisis. In order for the Matrix C.O.C. to meet their mission and provide for those in need in our community, they rely on the generosity of individuals and businesses for support. Without the assistance of community-minded individuals just like you, they would not be able to serve the men, women, and children in need in our community. members from the City of DeFuniak Springs, DeFuniak Springs Police, Walton County Sheriff’s Office, the Florida Department of Corrections and other local law enforcement agencies will partner with The Matrix Community Outreach Center to host their 6th Annual Jail and Bail fundraising drive to be held at Triangle Chevrolet Buick, 850 U.S. Highway 331 S. in DeFuniak Springs. We encourage you to participate by having someone mock arrested for charges such as “aging too well,” “impersonating a golfer,” or the most committed violation of “wearing unfashionable clothing.” There are so many other phony charges that can be made for the mock arrest of your boss, co-worker, family member, friend or even volunteer yourself to be a jail bird. If you are interested in having someone arrested please click here to print out and complete a "warrant" and turn in to the Matrix C.O.C. Even if you can’t participate, donations are always accepted and appreciated! Your generosity during this fun time will make a difference in our community and allow them to continue this much needed program. For further information on how you can donate or volunteer, please contact the Matrix C.O.C directly.